Seems like forever since we had a weekend day / night with no rain and the temps were perfect. So, we fired up the Blackstone for the old standby, Smashburgers! 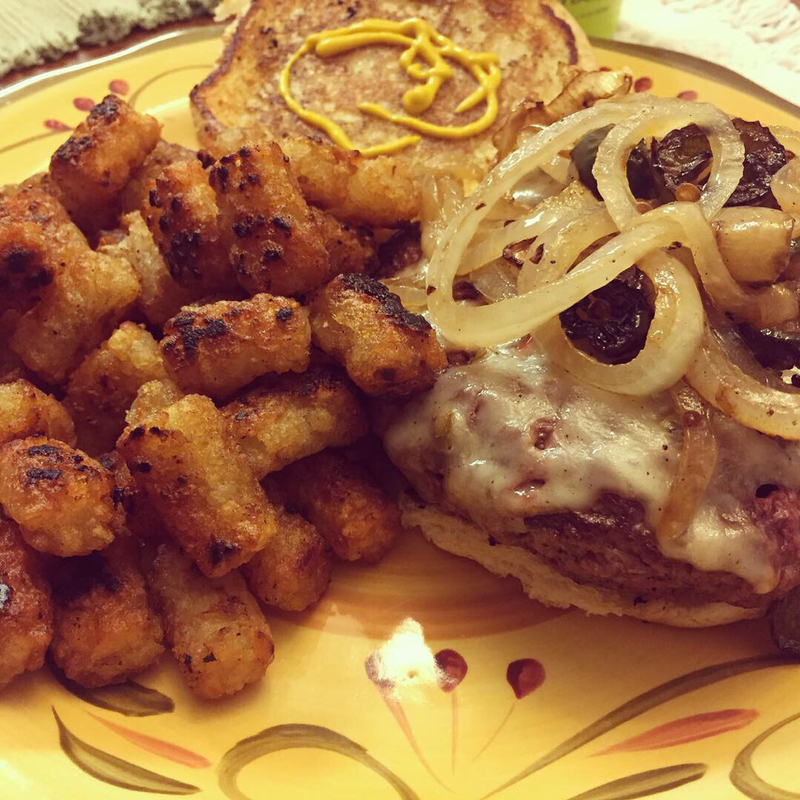 Cooked some tots on the griddle for the first time too. Really nice crunch. We’ll definitely do that again. Yeah, I talked to my SIL who is your Neighbor: when I asked him about the rain his response was, " it's just ridiculous"
We have definitely had more than our fair share of rain. Lakes out of their banks, boat ramps closed, yards flooded. But man I send prayers to the folks in the hill country. That is a dangerous situation and I hope the flooding lets up soon. Don't know if I like the Plate or the Sky the Best after the last few days. Great looking meals, Sooner! My mouth is watering looking at your pix. Good luck with the weather. I hope it continues to dry out for all of you.